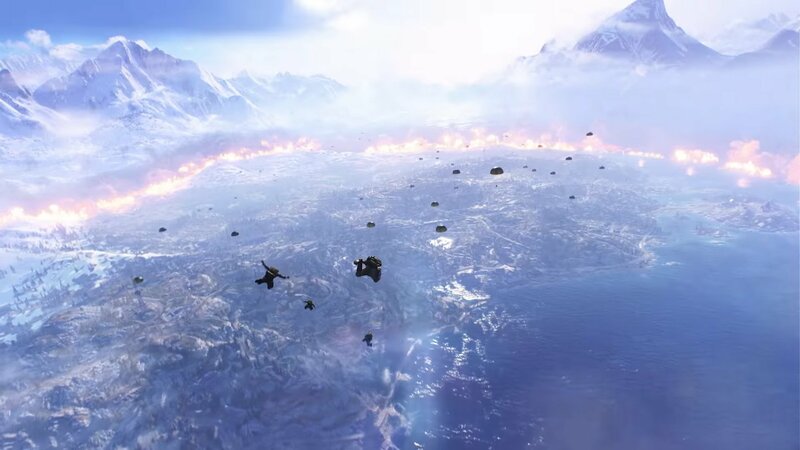 Just days before Battlefield's take on battle royale enters the ring, DICE has released a gameplay trailer for Firestorm. It's pretty much what you'd expect, and that isn't a bad thing. There's item scavenging, objective capturing, a plethora of vehicles, and plenty of opportunities for wanton destruction. I can already tell I'm going to want to squad up for Firestorm. Solo play seems intimidating as hell. Aside from the huge new map (the series' largest to date), there are a bunch of other wrinkles to the traditional Battlefield V experience. For instance: backpacks. And armor vests, which you'll physically load with metal plates to improve your soldier's survivability against bullets and explosions. Firestorm also has bunkers with powerful vehicles (that conveniently can't be accessed until you turn two noisy dials) and players can find and fire flare guns for supply drops or the devastating V-1 Rocket. The trailer serves as a general overview, whereas the Firestorm site goes much more in-depth. I'm curious to see how I'll get along with Firestorm given that Battlefield V, in general, can be finicky. When it's fun, it's thrilling, but when you're having an off day, it's a total slog. There's also the matter of timing and pricing. Can Firestorm build a big enough audience with Apex Legends living its best life?